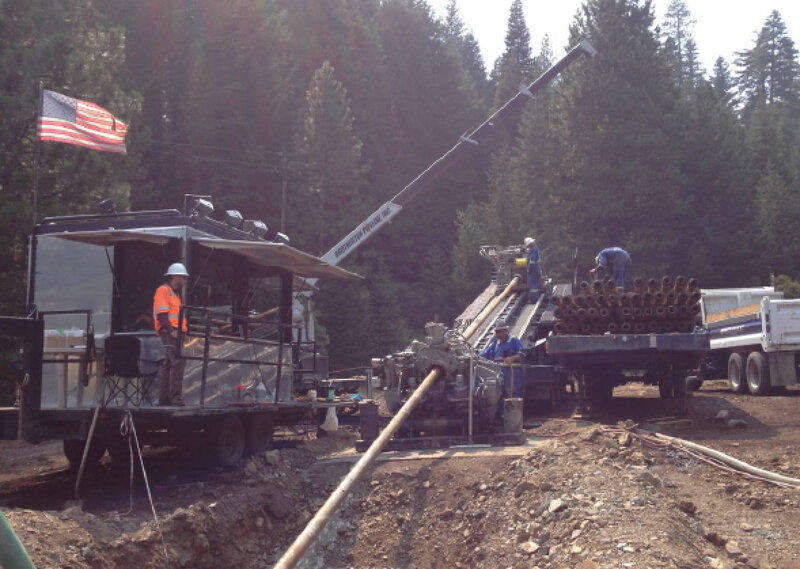 Bennett Trenchless Engineers provided design review, full-time on-site construction inspection, and as-built review services for the 850-foot HDD crossing of Hayfork Creek near Red Bluff, CA. PG&E identified a need to replace approximately 1,500 feet of the existing 12-inch Line 177A due to corrosion. Line 177A provides natural gas to the Eureka area as well as the Humboldt Bay Power Plant. It was important, therefore, to replace the line quickly. GTS Inc. was selected as the design engineer for the project. Hayfork Creek was identified as an environmentally sensitive area, requiring full time biological monitoring. Challenges on the project included crossing beneath an environmentally sensitive creek, drilling through highly weathered and fractured slate bedrock, high hydrofracture risk due to the highly fractured bedrock, wood debris and challenging geotechnical conditions near the ground surface, tight bend radius, restricted pipe laydown area requiring two intermediate welds during pullback, and a tight construction schedule due to the need to coordinate with the Humboldt Bay Power Plant.